The VSI-T-000076/000077/000078 is a current and voltage sense signal conditioning board. It can be ordered in 4, 8, or 12 channel configurations (12-channel shown) and can be either stacked or interconnected in remote location on a panel. 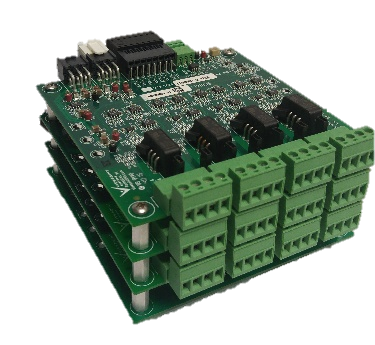 The board features an over-voltage alarm system that can be set by the user. Various test points are placed on each board where faults may occur for ease of debugging and component replacement. 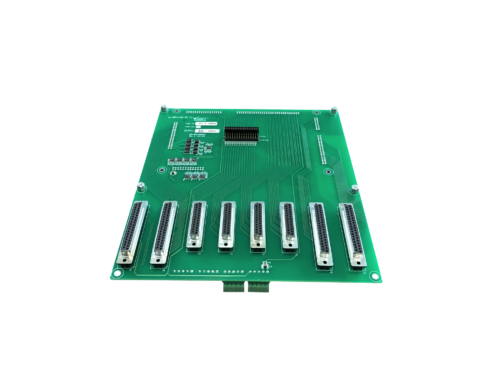 This board is used for voltage and current conditioning in low power electrical machines such as DC to DC converters, DC to AC inverters and DFIG generators. 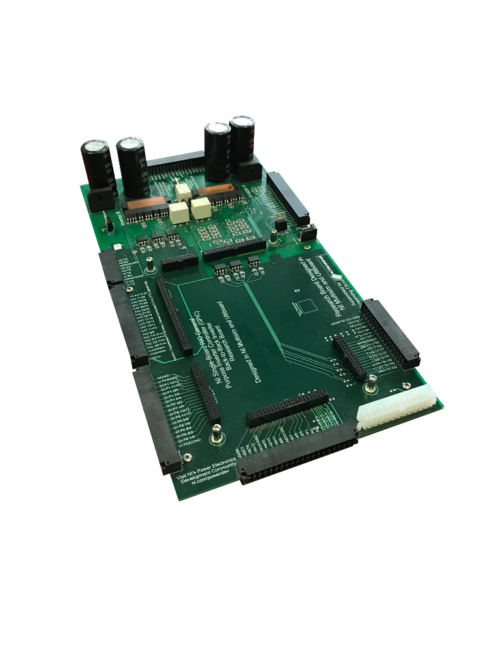 This board can be used either as a monitoring hub or as a spread-out network of monitoring boards depending on the scenario. Power lines are fed in and out through the front screw terminals and conditioned signals are sent to an FPGA or any micro controller through the connectors on the back. Modular design allows multiple sensing layers to be daisy-chained (between 1 (for 4-channel configuration) and 3 (for 12-channel configuration) total), each layer has 4 sensing channels. Has over-current detection that can be set by the user (user gives reference voltage that corresponds with current transducer voltage).